The Harry Taylor Series 305 Wedges from Harry Taylor Golf. So, just who is Harry Taylor? 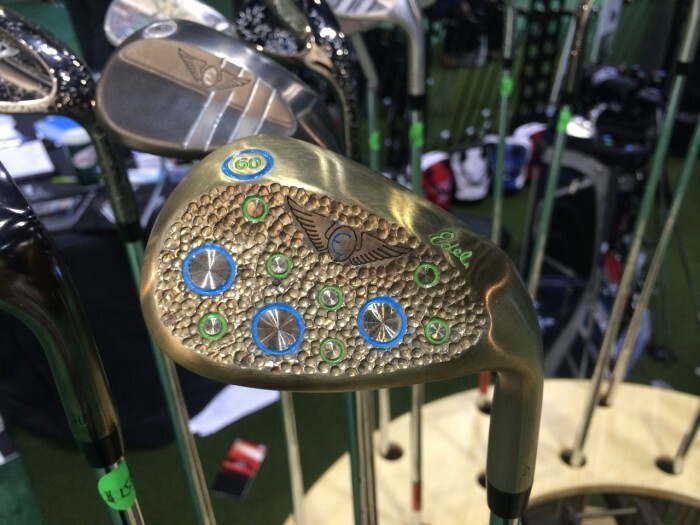 He is a former club designer for TaylorMade, Founders Club, and Mizuno and after a long career in golf introduced a new wedge this past year. The new wedges are precision milled from 303 stainless steel designed to produce maximum spin and control. The wedges feature ample bounce to prevent digging allowing the club to glide through turf or sand. The wedges feature a classic, timeless design that delivered performance on approach shots with consistent distance and spin. We were equally impressed in the wedges versatility from the sand and around the green. Available in black or satin finishes in 5 different lofts (52, 54, 56, 58, 60). Currently priced at $109.95 (black finish)/$99.95 (satin finish) each standard with True Temper Dynamic Gold shafts Golf Pride Tour Velvet grips. Learn more at HarryTaylorGolf.com.